﻿ Sea Flower Hotel, Da Nang | FROM $16 - SAVE ON AGODA! Have a question for Sea Flower Hotel? 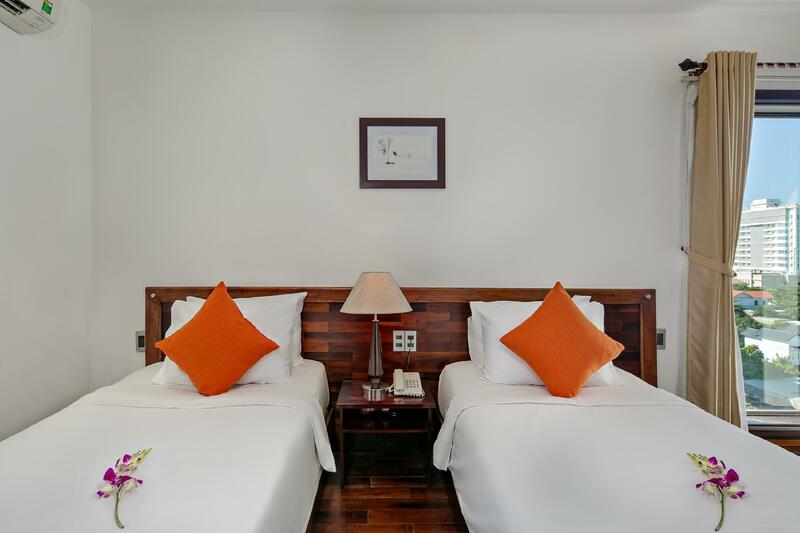 "Easy and comfortable stay in Danang!" "The staffs are really nice, supportive and friendly." 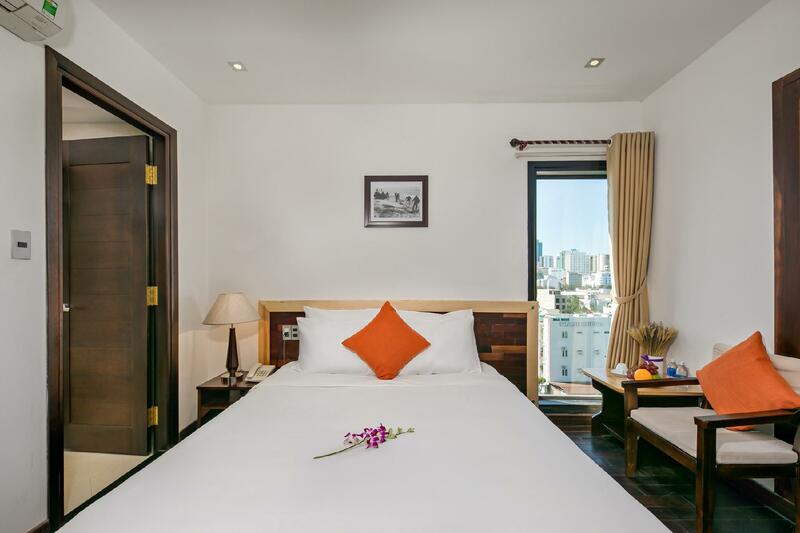 Sea Flower Hotel, located on Bac My An Beach, is a popular choice for travelers. The excitement of the city center is only five kilometers away. With its convenient location, the hotel offers easy access to the city's must-see destinations. 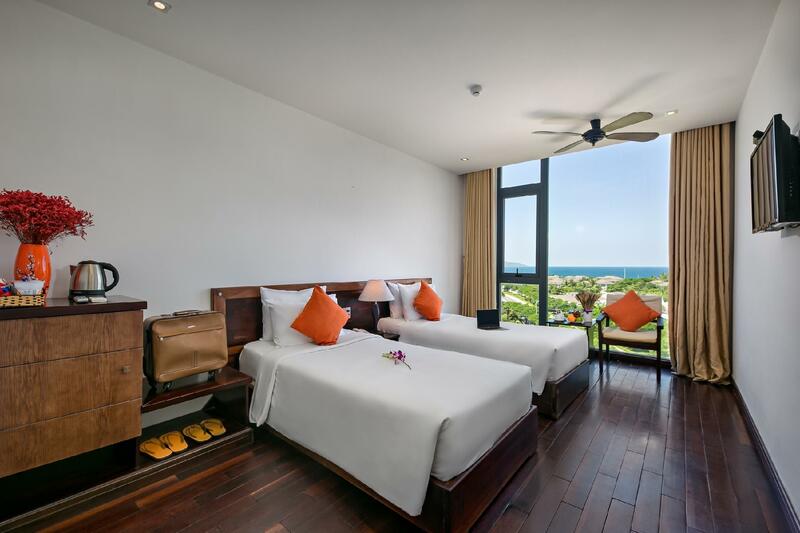 Sea Flower Hotel offers many facilities to enrich your stay in Da Nang. A selection of top-class facilities such as free Wi-Fi in all rooms, a 24-hour front desk, luggage storage, Wi-Fi in public areas, and valet parking can be enjoyed at the hotel. All guest accommodations feature thoughtful amenities to ensure an unparalleled sense of comfort. The hotel's host of recreational offerings ensures you have plenty to do during your stay. 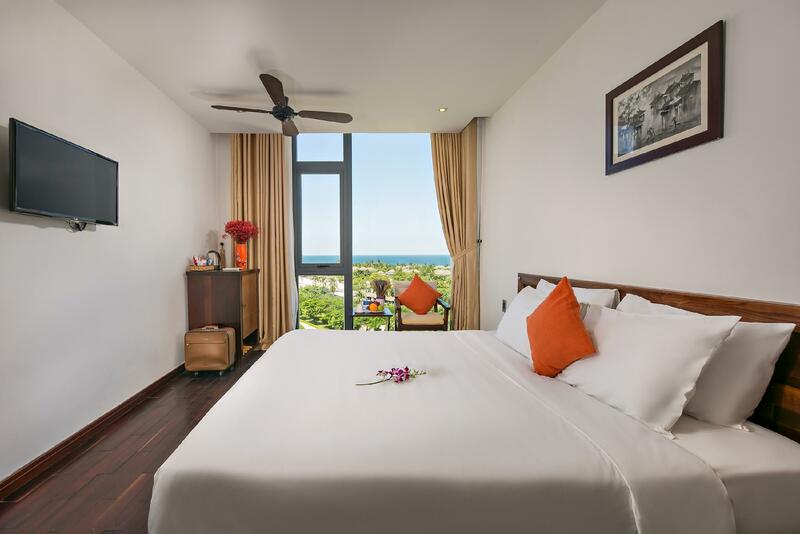 Whatever your reason for visiting Da Nang, Sea Flower Hotel is the perfect venue for an exhilarating and exciting break away. "Good breakfast and friendly staff"
Mình đặt khá gấp nhưng mình khá hài lòng. Khách sạn nhỏ nhưng có đồ ăn sáng khá ngon. Vị trí hơi xa trung tâm chút nhưng diện tích phòng mình thấy sạch đẹp. Tuy nhiên nhân viên ko đc hỗ trợ về xách đồ, vali mình phải tự mang lúc lên và lúc về. Dear Sir / Madam, Cảm ơn lời khen ngợi của các bạn cho khách sạn của chúng tôi. Nó chắc chắn là một động lực cho đội ngũ khách sạn để tiến lên trong việc cải thiện và phát triển dịch vụ cho khách hàng của chúng tôi. Chúng tôi cảm thấy rất tự hào khi thấy rằng chúng tôi có thể làm cho kỳ nghỉ của bạn trở nên thú vị và bạn đã có một khoảng thời gian tuyệt vời. Chúng tôi rất vui khi biết rằng bạn đã tận hưởng dịch vụ tuyệt vời của chúng tôi! Hy vọng sẽ có cơ hội chào đón bạn sớm, chúc bạn có một khoảng thời gian tuyệt vời. Good place to stay. Just a walk to the beach and nearby plenty of food on offer. We have stayed in some questionable hotels on our trip so far. This was a wonderful breath of fresh air! Our room smelled wonderful, was clean, and had a nice restroom. A lot of the hotels here have interesting restrooms. This felt very clean and organized. The check in process was fast and the receptionist was friendly. We also had breakfast included and there was a large variety of options. Probably the largest I've seen in all my travels! When we came in the room, we were so surprised because it was super affordable and yet the room was so pleasant. It was bright, spacious, clean. The staff were very helpful in finding us Grab rides and were always friendly. Good location, just a short walk to the beach. Lovely rooms, all with wooden floors which give the rooms a lovely smell. Good security, as each room is opened by security card. Breakfast in the ground floor restaurant from 6:30am to 9:30am. At time of this review, the choice of breakfast was a) bread with egg or b) Asian noodle breakfast. Plus choice of tea, coffee, juice, milk, and some fresh fruit. I would definitely stay here again. Slightly outside of town, but very close to the beach. Rooms cozy but very nice, clean, and impeccably maintained. TV worked well with lots of channels. Not super close to the active parts of Da Nang, but easily accessible by taxi or motorbike in any case. I'd probably stay here again as long as I didn't plan super long nights out. Dear Sir/Madam, Thanks for your kind compliments to our Hotel. It is definitely a motivation for the Hotel team to move forward in improving and developing the service to our guests. We feel so proud seeing that we were able to make your stay enjoyable and that you had a really great time. We are very happy knowing that you had enjoyed our great service ! Hoping to have the chance to welcome you back soon I wish you a very nice time. i stayed in this hotel for 4 nights. The shower hose and rainforest hose are amazing... the bathroom make me want to stay in there and play with water. however the sink for teethbrushing is outside of the bathroom. so prepare for water run down a bit, after you brush your teeth.. From 3rd floor can see the beach; however to reach the beach, cross the street then walk 400 meters to the left. Staff was friendly, but so-so English. Room was clean. Everything works except hot water could be better. Room is also smaller than it looks in photos but no big deal. Bed is too hard. Good location 5-10 minutes from the beach, restaurants and bars nearby within walking distance. Quiet at night so you can sleep! We booked 1 room here via Agoda with the cost at $15. The public price at the hotel for this room is $35. It’s located near My Khe beach and takes you ~5 mins to walk ther, ~25 mins from the airport and ~40 mins to Hoi An. 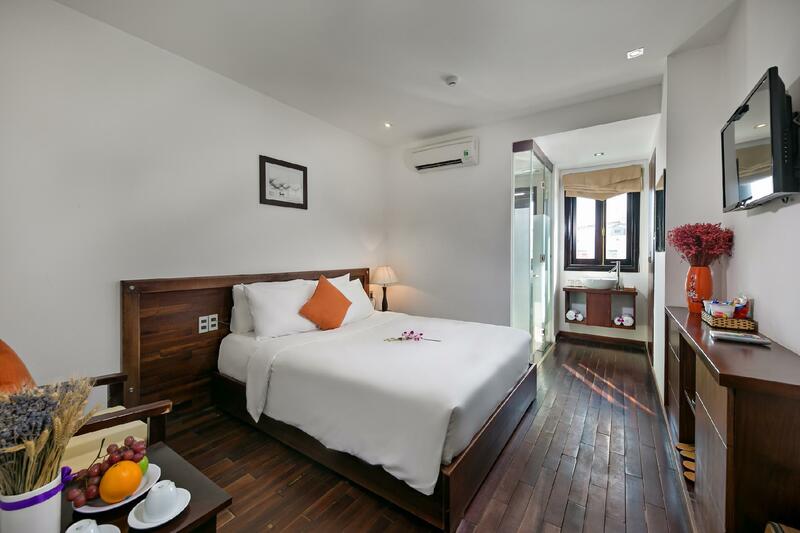 The room is small, nice and comfortable with wooden floor which is really useful for cold days. The bathroom is a little small but it’s ok for us. However, the swimming pool is not as nice as it’s in the photos. It’s on the ground floor and near the parking area, so pay attention if you choose the hotel just for the pool. The hotel have motorbike for rent in case you want to ride around. I recommend you rent 1 as it’s more convenient and cheaper for us to visit to the city centre or other places. The staffs are really nice, supportive and friendly.